Although dentistry formulates a fairly smaller segment of the healthcare industry as a whole, two factors that are maintaining sustained demand are prevalence among children and geriatrics. During the age bracket of 6 years to 12 years, children have a mixture of adult and baby teeth and often suffer from dental complications, particularly those with cavity issues owing to excessive consumption of artificially sweetened food products. On the other hand, geriatric population is mounting too, and people aged over 60 years frequently suffer from dental loss or complications. 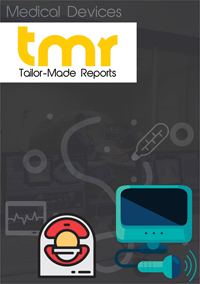 All these factors put together, the dental consumables market is remaining profitable, with the demand projected to increment at a formidable CAGR during the forecast period of 2017 to 2025, according to the findings of this business intelligence study. Dental consumables include a number of products such as prosthetics, implants, crowns, braces, dental impression materials, and others, which are commonly used for treating dental disorders such as problems pertaining to gingival tissues, tooth restoration, dental caries, dental impairments, and periodontal diseases. Across the emerging economies, populations are mounting and at the same time, specialized dental clinics are mushrooming. These facilities are expected drive the demand in the global dental consumables market. Growing dental tourism in emerging economies, increasing disposable income of urban populations living in the metropolitan areas, and rising demand from the cosmetics industry is expected to further add to the demand in this market. On the other hand, high costs and limited reimbursement policies, strong shortage of dental professionals, and pricing pressure faced by prominent market players are some of the restraints obstructing the market from attaining greater profitability. Some of the trends in the dental consumables market are new product launches, increasing market consolidation, and increasing industry academic collaborations. The global dental consumables market is driven by a growing importance for medical esthetics, which is a clinical subspecialty concentrating on the improvement or enhancement of the appearance by making use of cosmetic treatments. A number of MI procedures are used for the enhancement of an individual’s appearance. The use of dental implantation among others has become popular for people as they are inclined towards having a healthy and natural appearance. The use of colored braces, invisible orthodontics, colored dentures, and tooth coloration are cosmetic dental procedures that are increasingly becoming popular. This growing trend of medical esthetics is anticipated to propel the global dental consumables market in the forecast period. By product, the dental implants segment led in 2016 and is most likely to continue in its leading position. Growing popularity of laser treatment and high durability, osseointegration, and biocompatibility of dental implants are behind the growth of this segment. On the basis of end user, the market is led by the dental clinics segment. The use of advanced technologies such as digital dentistry in dental clinics has led to the growth of this segment in the dental consumables market. The collaboration of dental clinics with insurance companies offering dental coverage is also boosting the growth of the segment as this reduces the expenses of dental treatment. Companies such as Institut Straumann offer a broad range of prosthetics for the restoration of compromised teeth as well as to complete the implant solutions. The company makes use of CADCAM technology for the manufacturing of veneers, in-lays, crowns, on-lays, and bridges. The company also offers digital solutions package, including guided surgery, and intra oral scanning. Dentsply Sirona, another leading player has developed preventive oral care solutions and also provides restorative solutions such as disposables that prevent infection and chemistries that can be used for the whole procedure. These developments help in the optimal workflow and provide comfort for patients. On the basis of geography, the global dental consumables market is segmented into Asia Pacific, Europe, North America, and the Rest of the World. Of these, the North America dental consumables market is leading at present and is anticipated to continue to lead during the forecast period on account of the enhanced healthcare facilities available in countries such as Canada, the U.S., and Brazil. These countries are taking great efforts to improve the healthcare facilities and also provide dental care services to the population. Medical tourism is another factor which is expected to augment the growth of the global dental consumables market in the coming years. The global dental consumables market is highly fragmented and is characterized by the presence of several regional and established international vendors. Some of the leading vendors operating in the global dental consumables market are: Danaher, Sirona Institut, Dentsply, Zimmer, Biomet, and Straumann. These players are responsible for making the market competition high by developing a wide range of products that make use of advance technology. The players in the market are competing with each other on the basis of device cost, procedure cost, waiting period, and insurance coverage. Some of the other vendors in the market include: 3M, A.B. Dental Devices, 3Shape, ADIN Dental Implant Systems, BioHorizons, Align Technology, Biotech Dental, Carestream Health, Camlog Holding, Cortex Dental, Dentatus, GC, E4D, Glidewell Laboratories, HIOSSEN, Heraeus Holding, Southern Implants, Sweden & Martina, SGS Dental, and TRI Dental Implants.